Spitfire has been making waves in the skate scene since 1981. (Making tsunamis would actually be a little more accurate.) Their self-titled video in 1993 caused a sensation. Of course, their insanely popular wheels are also a huge part of their success. The Forumla Four Urethane offers you high speeds and excellent control, not to mention increased flat spot resistance. 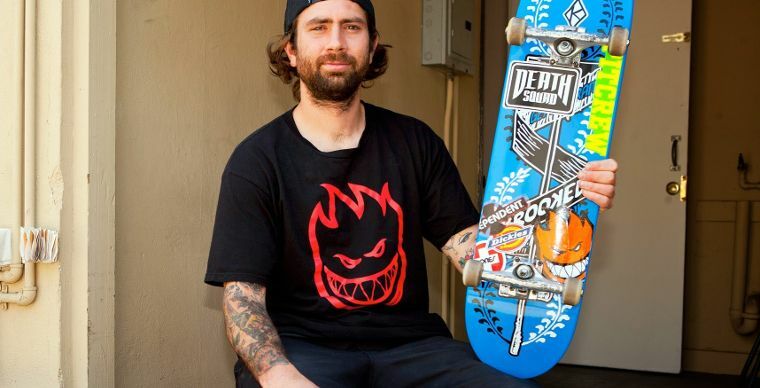 Spitfire Wheels is owned by Deluxe Distribution, who also own Real Skateboards, Venture Trucks, Thunder Trucks and Anti Hero. Their wheels come in a variety of different sizes and hardness levels. Tons of different designs and signature wheels from team riders are also available. New skate shoes to go with your setup can be found in our online shop! In addition to skate hardware, Spitfire has a wide selection of skate and streetwear. Check out our Spitfire page online - it’s worth it. You’ll find stylish Spitfire t-shirts, hoodies, sweatshirts and caps with the Bighead logo. Just as with their wheels, Spitfire places a high value on making quality clothing items. Browse the current Spitfire collection today! Spitfire, being skate dinosaurs, obviously have a top notch skate team: Andrew Reynolds, Guy Mariano, Luan Oliveira, Brian Anderson, Ishod Wair, Grant Taylor, Stevie Perez, Silas Baxter-Neal and Peter Ramondetta are just a couple of names on their list.